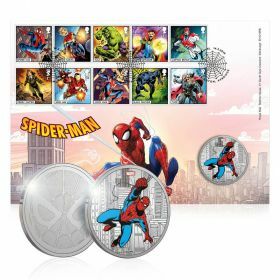 This stunning set of ten First Class stamps celebrates some of the most iconic Super Heroes in the Marvel Universe, including Spider-Man, Iron Man and Captain Marvel. 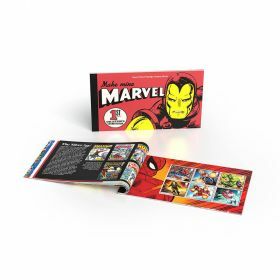 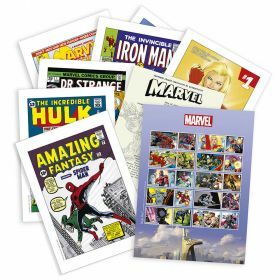 Each stamp features an original illustration by renowned Marvel comic artist Alan Davis and is exclusive to Royal Mail, making them a must-have for any Marvel fan. 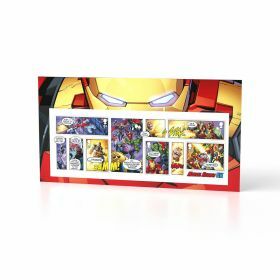 Your stamps will arrive presented and protected in a specially designed Marvel-branded carrier pack featuring Iron Man on the front and Hulk on the reverse. 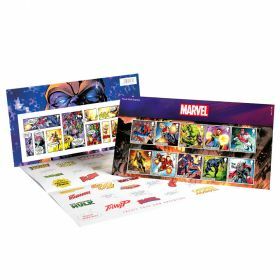 Ten First Class Stamps celebrating some of the most iconic Super Heroes in the Marvel Universe. 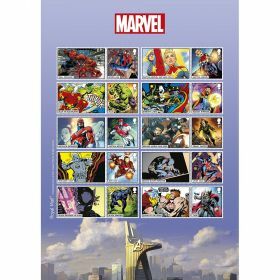 Each stamp features an original illustration by renowned Marvel comic artist Alan Davis.